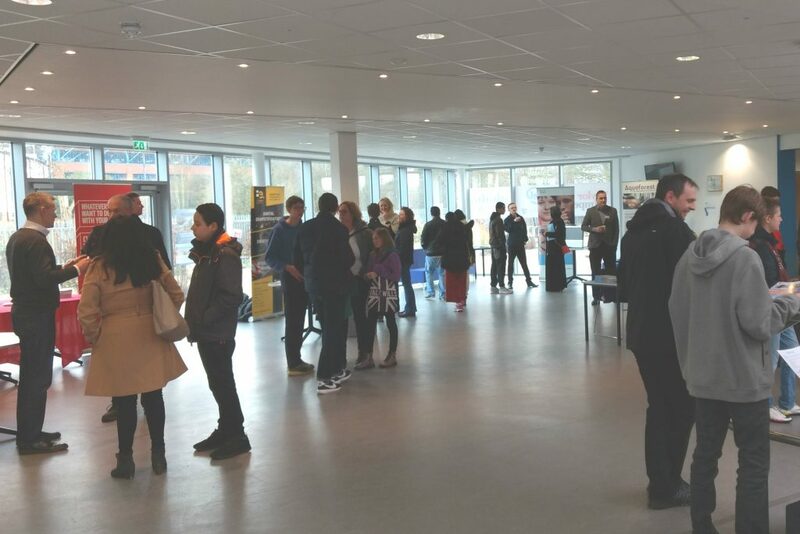 On Tuesday 31st Jan and Sat 4th Feb, Bucks UTC opened its doors to its first ‘Careers in Computing and Construction Open Events’, so students (both current and prospective) could explore pathways and enhance their prospects. We have been delighted by the public’s response and take heart at sharing the event’s positive outcomes. Student visitors explore Computing and Construction career pathways. Visitors were welcomed by staff into the Taylor Wimpey hall for a presentation lead by Executive Principal Tony Withell. The talk focused on the added value employers brought to the KS4/16+ curriculum, so students can gain industry-essential skills that simply are not on offer at most schools, and be truly prepared for employment and/or higher education. This was emphasised by Head of Computing Alan Bailey, and Head of Construction Nicholas Han, who shed light on these specialist skills, whilst one of our own sixth form students, Sam Barrett, shared from his experience at the College and how this, along with a placement we provided with our Sponsor Cisco, is readying him for his future. Sponsors: Cisco and Taylor Wimpey. Partners: Aquaforest, BAM, BMF, BeSeen Marketing, Double Glazing Direct, Framework Digital, Grant & Stone, Mansi Building & Renovations, Opps in Bucks and Rackspace. We are also delighted to see so many attendees having conversations with our staff and students as they explored the careers show. In addition, we are grateful to the many students who used their personal time to volunteer and guide guests around our state-of-the-art facilities – they showed true professionalism and good character. There’s a lot more to Computing and Construction than you might think, if you want to learn more about these careers and how an education with Bucks UTC can get you there, take a look at our dedicated Computing and Construction pages.